Summary: According to the Economist, one of the top investment categories for global bankers is all things digital, to meet the evolving demands of customers. What community banks can learn from these bankers. 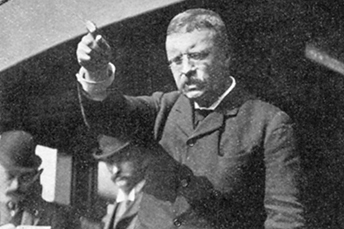 President Teddy Roosevelt once said, "Speak softly and carry a big stick." It seems Amazon's virtual assistant Alexa must have been listening, because it is getting a whisper mode. That's right, Alexa will whisper back when you speak softly to it. We are not sure about the stick part, but we are interested to try our quiet mode on this gizmo. In banking, the volume has been turned all the way up to loud though, when it comes to digital transformation these days. According to a report by The Economist, one of the top investment categories for bankers is for all things digital, to meet the evolving demands of customers. Knowing what bankers are thinking and planning globally may help community bankers in the US, as you strategically plan ahead. Indeed, the majority of the 400 bankers in this report say that changing customer behavior and demands will have the biggest impact on the retail side of banking from now until 2020, followed by the broader adoption of new technologies. These include artificial intelligence (AI), machine learning and blockchain. As a result, bankers' top strategic priority for the next several years will be improving their ability to be more agile when responding to shifting customer desires. This includes streamlining product development processes in order to compete more effectively with fintechs. Other top strategic priorities include: encouraging more customers to use the bank's digital channels more often; cutting expenses and improving margins; hiring more talented workers; and developing more ways to achieve "hyper personalization", or marketing to a segment of one. Much of the spending for digital will go towards cybersecurity, of course. Indeed, 71% of bankers are concerned about this. Other digital priorities include: improving online and mobile delivery of products and services; adopting more cloud-based technologies; upgrading both customer-facing and back-office systems to facilitate better digital customer journeys and launching AI capabilities, such as digital advisors. While the emphasis of this report was on the retail side of banking, there are definitely some applicable takeaways for commercial banks as well. Keep listening: It is important to listen to your frontline employees to hear what your customers need and want. Those needs and wants may change over time, or even all of a sudden. Make sure your staff updates you when this happens, so that you can continue to serve and support customers. More proactively, using the power of analytics allows you to anticipate some of your customers' needs before you even hear about them. Keep updating: There is no doubt that digital is here to stay, and this means you will need to continuously update your systems. If you haven't already, put a plan in place to review any needed enhancements regularly. Keep watching: You may not be an early adopter of technology and that is ok. But, make sure you keep watching the development of new and emerging technologies to stay informed. Doing so will keep your bank up-to-date and ready, so you can stay competitive in your marketplace. 1) Investar Bank ($1.7B, LA) will acquire Mainland Bank ($131mm, TX) for about $19.9mm in stock (100%). 2) First Merchants Bank ($9.7B, IN) will acquire Monroe Bank & Trust ($1.3B, MI) for about $290.9mm in stock (100%) or about 2.4x tangible book. 3) Exchange Bank ($2.6B, CA) will acquire the trust department of First Northern Bank ($1.2B, CA) for an undisclosed sum. A Wall Street Journal survey of economists finds everyone expects 1 more rate hike this year, while 42% expect 3 hikes next year and 21% project 4 hikes. As of this latest survey, the economist group projects federal funds will reach 3.08% on average by the end of 2019. Forbes reports banks in Europe must use 2 factor identification, which means they will not be able to use Apple's Face ID to authenticate customers for mobile banking, as it is not secure enough. Under new security rules that banks must follow overseas, Face ID only counts as 1-factor biometrics so it must be accompanied by something you know, like a password, or something you have, like a token.